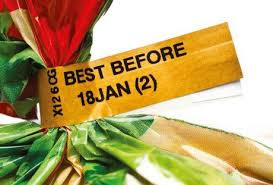 Union minister for consumer affairs, food and public distribution Ram Vilas Paswan said labels printed on food items should carry only "expiry date", and not "best before", which has no meaning. "We want that only there is expiry date. There is no meaning in best before", Paswan, the Consumer Affairs, Food and Public Distribution Minister, told. Paswan said he would convene a meeting of his department to "work out" and implement this measure. National Consumer Disputes Redressal Commission (NCDRC) President D K Jain said last week consumers get confused about labels printed on food items and the Food Safety and Standards Authority (FSSAI) should look into labelling issues related to expiry date and best before. Jain had wondered if best before label means it is fit for human consumption after six months.Paswan also said the Centre is in discussion with National Association of Street Vendors of India vis-a-vis earmarking certain areas in cities for selling of such good. "We want a system for (selling of) street food. We want this activity to take place in particular place", he said. Paswan noted the people enjoy food in "dhabas". Similarly, street food can also be safe and cheap and can be sold in an enjoyable atmosphere.Noting that the Association had held a "mela" in "Dilli Haat", Paswan said such an initiative, whereby certain areas are earmarked for street food, should be implemented in other places in the country.